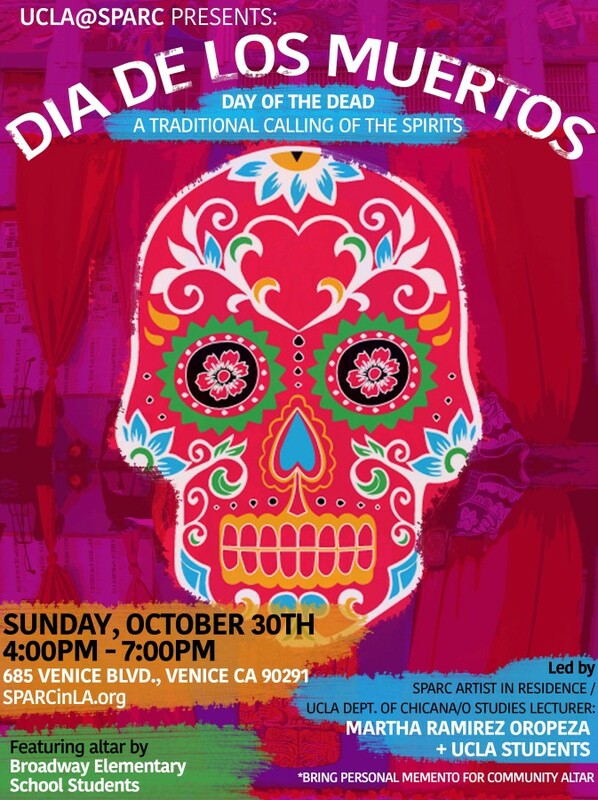 UCLA@SPARC’s Annual Día de los Muertos Event – SEE PHOTOS! - SPARCinLA We are SPARC: Art | Community | Education | Social Justice SPARC | Social & Public Art Resource Center | Creating Sites of Public Memory Since 1976 | Founded by Judy Baca, Donna Deitch & Christina Schlesinger | SPARC is a community cultural center that creates public art as a vehicle to promote civic dialogue, foster cross-cultural understanding, and address critical social issues. We accomplish our mission by producing, preserving and presenting community-based public art. SPARC is a facilitator Ð finding ways to tell richly textured stories that help community participants and artists achieve a measure of change and transformation. UCLA@SPARC’s Annual Día de los Muertos Event – SEE PHOTOS! 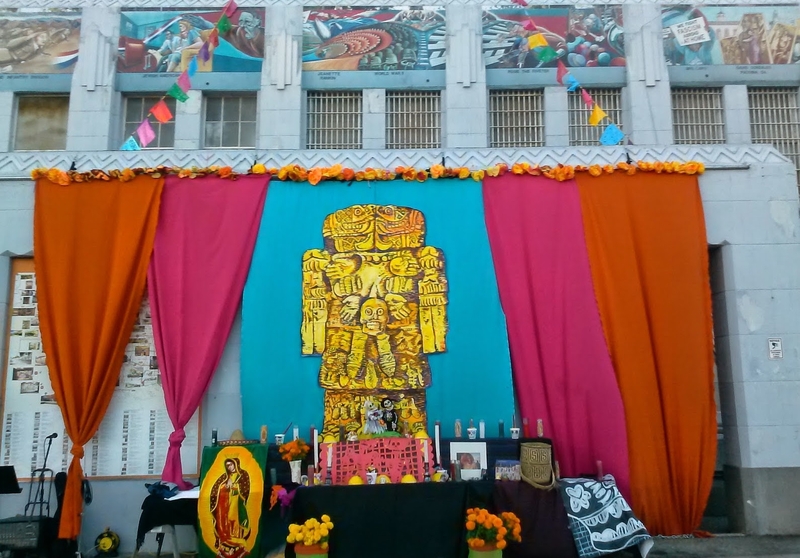 On Sunday, October 30th at SPARC’s historic headquarters since 1977 (Old Venice Police Station), UCLA@SPARC presented our annual “Día de los Muertos / Day of the Dead” ceremony to honor the dearly departed with the annual ritual of The Calling of the Spirits. The traditional ceremony guided by UCLA instructor and SPARC’s Artist in Residence, Martha Ramirez-Oropeza, and her UCLA’s César E. Chávez Chicana/o Studies Department students. This year’s Day of the Dead celebration featured an altar by the Broadway Elementary School students!